F.A.S.T. 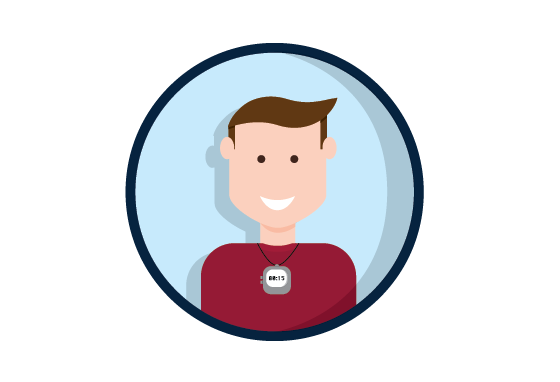 is Rockfarm’s packaged TMS automated platform. Used as a standalone product or in combination with our broader consulting services, it is a comprehensive solution that draws from our extensive industry expertise. Use it to simplify, automate or optimize multiple common transportation management tasks. Think of F.A.S.T. as the ultimate shipper’s assistant. It contains a suite of powerful tools for freight auditing, shipping, tracking and more. If you’re looking for a carrier for an upcoming job, F.A.S.T. provides an at-a-glance database of your current vendors as well as those from our network of approved partners. Use it to drill drown on individual carriers to look at their past performance or compare costs based on different criteria. After you’ve chosen the best carrier for the job and sent off your shipment, F.A.S.T. monitors its progress via GPS, and provides you with full transparency as your part or product moves through the supply chain. F.A.S.T. 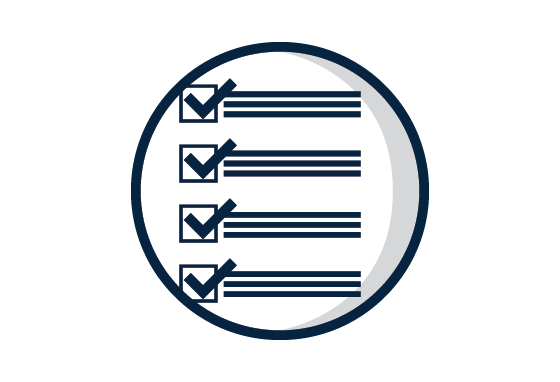 will also complete a freight audit on every shipment and provide you with a bill of lading customized with your company’s branding. 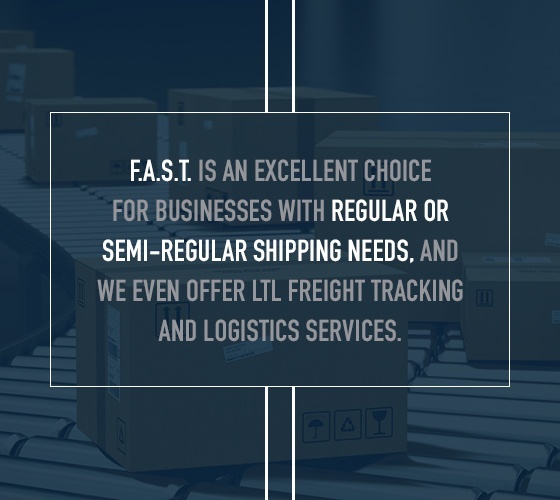 If effective and efficient shipping is critical to your business, F.A.S.T. is your partner every step of the way. With a F.A.S.T. optimized TMS solution, a single program does it all. Best of all, what you see is what you pay. There are no hidden surcharges or monthly fees to use this product. Keep reading to learn more or contact the Rockfarm head office to order your copy today. What Are The Benefits of A TMS? Whether you are a small shipper or a midsize company, your ability to compete by being more swift and agile is critical to your success. Time is a decreasing luxury as new products are introduced that compete directly against your company. Our Transportation Management Technology software solutions give you control through faster processing of your supply chain tasks and more time to manage the critical functions of your business. One without the other is worth none at all. 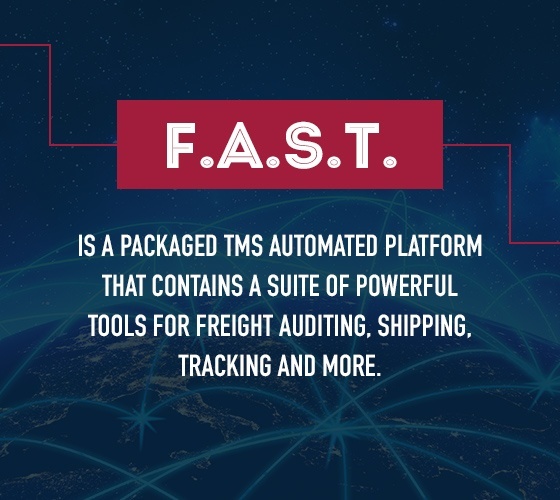 Rockfarm’s F.A.S.T TMS solution provides both historical and real time freight analysis for your team enabling business intelligence that delivers bottom line results. Whether its real time routing or reviewing costs by customer to the Sku level the business intelligence delivered within our F.A.S.T. TMS provides the advantage to grow your company. Doing more with less has become a rallying cry as resource constraints push supply chain teams to do just that. Our F.A.S.T TMS provides the answer to driving greater process efficiency within your logistics processes. Stop the dialing for quotes or excessive key strokes to determine freight costs across multiple carriers, our TMS places automation within 24 hours of set up at no costs. Your supply chain can immediately begin contributing additional resources to the organization to focus on your core business. Did we mention ROI? In most situations this would entail long discussions on the investment needed to gain a return. Rockfarm’s F.A.S.T TMS requires no upfront or set up costs, essentially no investment required. What does this mean for you? Immediate savings. Let’s break this down. 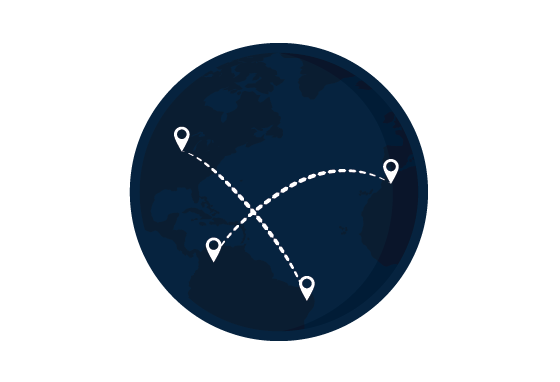 Effective carrier routing can now be implemented due to the line of sight your logistics team has to each carrier’s cost and their service level including all modes from small package, Less than Truckload, Truckload, Expedite to Air Freight shipments. It doesn’t stop there, engage your carriers and more within the F.A.S.T. manage quotes portal giving you cutting edge technology to drive the best rates for your shipments. Rate Quoting, Shipment Tendering Bill of Lading Generation, Pallet Label Printing, Pro Label Application and other tasks associated with shipping your products can all be improved with Rockfarm’s F.A.S.T. TMS delivering valuable time to your team directly translating into savings. Often times with small and midsize companies, logistics expertise may reside within one person in the company. Mitigating your risk with defined logistics processes in our F.A.S.T. TMS across your logistics, customer service and operations teams means you do not miss a beat in completing the customer experience with on time deliveries at the right rate and expectation. What would it mean to view your shipment costs across all modes? Yes you read it right, across all modes. In Rockfarm’s F.A.S.T. TMS solutions you can have the same visibility within one platform that large companies can have with highly integrated TMS platforms. 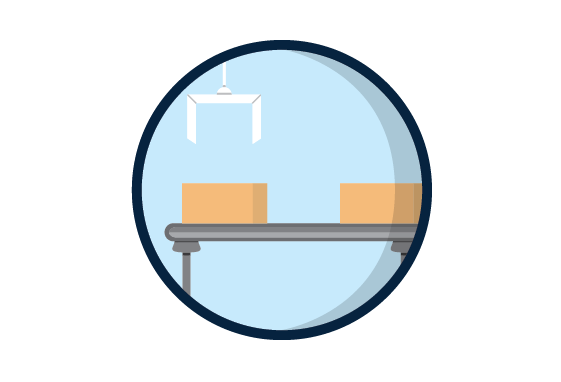 If your shipment is parcel, your individual service levels will be displayed giving you your parcel carrier, service time and cost for each shipment placing you in control of your freight cost. 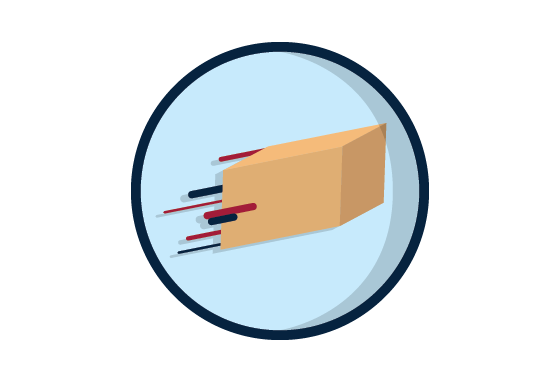 Add the capability to print your parcel labels and you now have One Platform. One View. One Process. LTL shipment rates are displayed also illustrating the carrier’s on time pick up & delivery performance, mitigating routing risk with important customer shipments. Looking for rates on LTL expedite costs, no issue. Guaranteed LTL rates can be displayed based upon the carrier’s available service levels. Defining what constitutes an LTL shipment today can be a challenge. Leave that to us, our F.A.S.T. TMS displays each carriers LTL rates taking the guessing game out of determining if a shipment meets the carrier’s LTL definition. LTL shipments that now exceed a carrier’s LTL definition can be quoted to carriers across modes to include LTL, Truckload and Ground Expedite carriers giving you a competitive platform to route your Volume LTL shipments cost effectively. Truckload rate visibility by equipment type is now available as requirements for temperature controlled shipments continues to increase. Dry Van, Flatbed and Specialized trailer types are configured in the TMS giving you options to view the available carriers for routing. Index rating showing you the latest rate index for a shipment lane delivers market intelligence to your team. Effectively enabling real time benchmarking to engage the spot quote market using the Manage Quotes portal in the TMS. 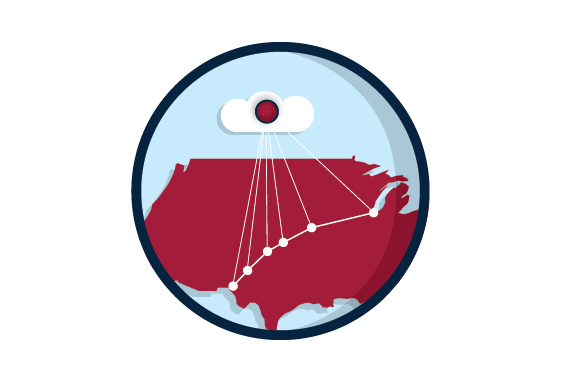 Expedite and Air shipment rating delivers one view of all potential routing options allowing your customer service team to satisfy your customer’s delivery requirement in real time. Enhancing the customer experience with real time information that leads to informed decisions creates trust within your customer relationships and minimizes work load on your logistics operations. Rating – yes, Routing – yes, Tendering – yes, BOL Print – yes, Auto Pro – yes. What is left? What about easy print documents for NAFTA trade lanes and export shipments – yes. Spot Quoting – yes. Buy it Now – yes. Rockfarm’s F.A.S.T. TMS is a cloud based platform allowing user access from any internet connection including the Rockfarm TMS mobile app. Looking for multiple users, no challenge, we offer unlimited users for each of our clients. Real time and historical shipment reporting is available to each user through the Rockfarm F.A.S.T. TMS report module giving you access to your supply chain from any connection. 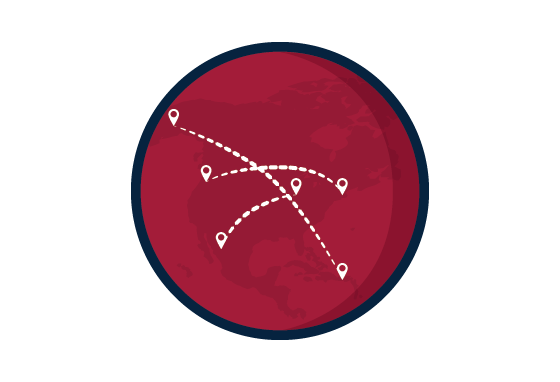 Our TMS even offers an LTL carrier tracking system to help you maintain visibility of all the players in your supply chain. Each of our F.A.S.T. TMS clients enjoy direct support from our F.A.S.T. team of logistic professionals. Whether assistance is a help desk function or executing complex shipments from your suppliers Rockfarm’s Control Tower team is here to support your team in all things logistic. Imagine a precision supply chain that evolves with your changing business. Technology and Supply Chain Expertise combined into one platform, one view and one process is a powerful engine. That engine supports your company’s growth. Rockfarm doesn’t stop with deploying our TMS technology solutions. We develop and implement freight management solutions as your company grows. We identify your needs and requirements and work on continuously improving your supply chain through greater automation and more efficiency. As a result, the Rockfarm TMS automation technology grows with your business enabling you to focus on the core competency of your business, taking care of your customer. F.A.S.T. is an excellent choice for businesses with regular or semi-regular shipping needs, and we even offer LTL freight tracking and logistics services. It takes the work out of reviewing and comparing RFPs, which in turn helps you make more informed decisions. Ultimately, it will keep your costs down by working with reliable shippers who provide the services you need at a price that works for your budget. F.A.S.T. standalone software is just one of the TMS solutions Rockfarm offers. Compared to our more conventional consulting and outsourcing services, it gives your team additional power and visibility into the shipping process. It’s the best choice for companies that want a high level of granular control and have the resources to make these decisions in-house. Alternately, consider using Rockfarm’s third-party logistics services. One call to our team is all it takes to begin the shipping process. Our experts handle everything from sourcing the right carrier to tracking the shipment and dealing with any claims that arise. Visit our dedicated TMS page to learn more. Find out if our F.A.S.T. TMS solution is right for your organization by contacting Rockfarm Supply Chain Solutions today or calling us at 815.573.0155. In many cases, we can have the software installed and running in your office in 24 hours or less.